You must make reservations at least 5 minutes in advance of the time at The Dutch. Prince St. & Sullivan St.
C and E trains to Spring Street, R and W trains to Prince Street, B, D, F, or M train to Broadway-Lafayette Street. 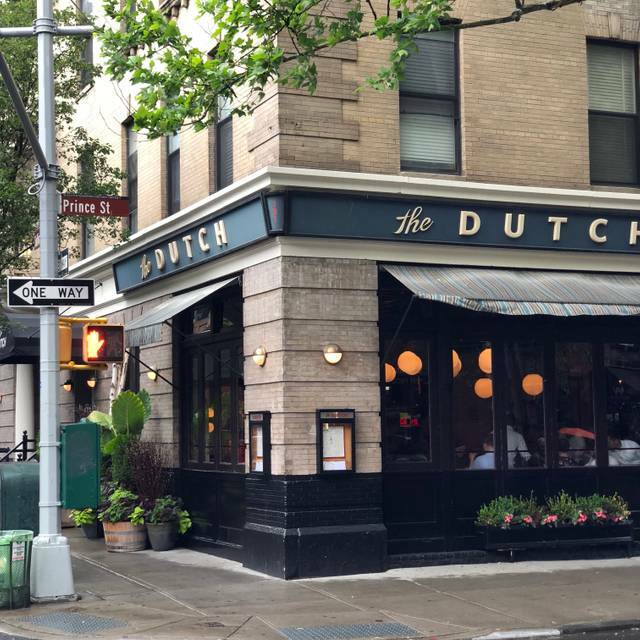 The Dutch is an American restaurant, bar and oyster room inspired by local cafes, country inns, corner taverns, neighborhood bistros, seaside shacks, roadside joints and the same mix of cultural influences that make New York City great. Award-winning Chef Andrew Carmellini's roots-inspired American menu features fresh fish and shellfish, choice meats, local produce and the best of what's around. On Mother's Day, The Dutch will serve brunch 10am to 4pm and dinner reservations are available beginning at 5pm. On Easter Sunday, The Dutch will serve brunch 10am through 4pm and begin dinner service at 5pm. Best restaurant in NYC. My husband took me there on our first date 6 years ago and we’ve been going every year since! 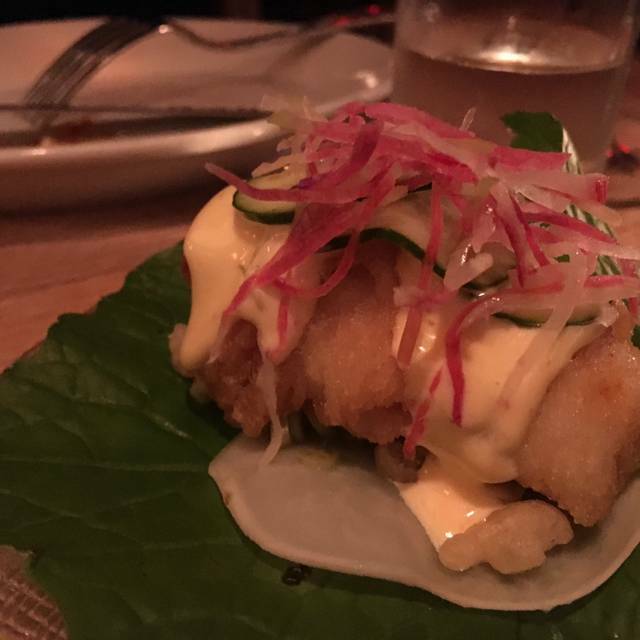 This is one of the most consistently excellent restaurants in NYC. Take your server’s recommendations. They are seldom wrong. The craft cocktails are also superb. Love the Citrus Salad, and the Fried Chicken can't be beat! 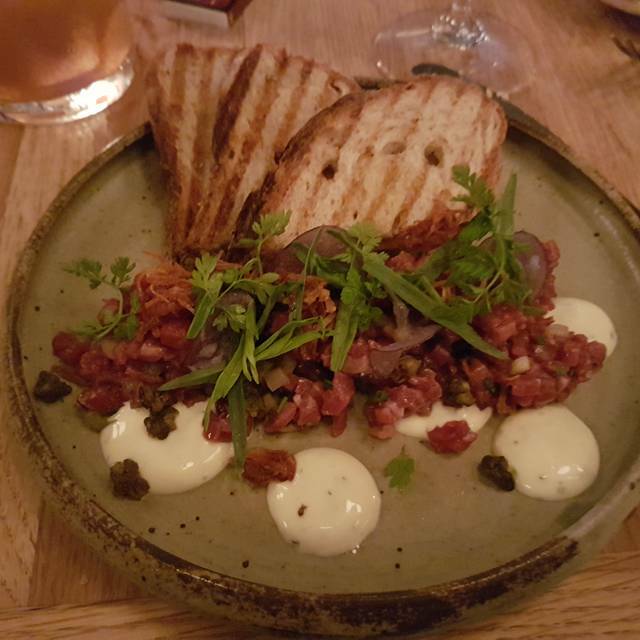 The food was good, if overpriced, and once we were seated, the service was excellent. But we arrived early and were directed to so many different areas only to be told we couldn't wait there; it was baffling. One of the rooms we walked into was hosting a private party, and the bartender treated us as if we were crashers. He managed to pack a lot of condescension into the 5 seconds we were there. The brunch scene is frenetic, not relaxed. But kudos and a big thank-you to the waiters and servers for our table—they couldn't have been nicer. Really really great brunch. Made a reservation (obviously) and we were seated right on time. Great table. Food was phenomenal. Nice, creative variations of expected brunch fare. Service was attentive and professional. Crowd was a little over the top millennial loud and oh so important (says the old guy in the room) but not enough to make me not want to go back. Highly recommend. There are several better options than this pretentious overrated restaurant. Fabulous food lovely atmosphere. Pricey but worth it. Fantastic place. Great staff and amazing cocktails. We enjoy the Dutch and this trip was no exception. Our server was diligent and pleasant (Olivia) and our food was excellent. I had the oysters (fresh and plump) and the Snapper with avocado salsa. I left nothing on my plate. 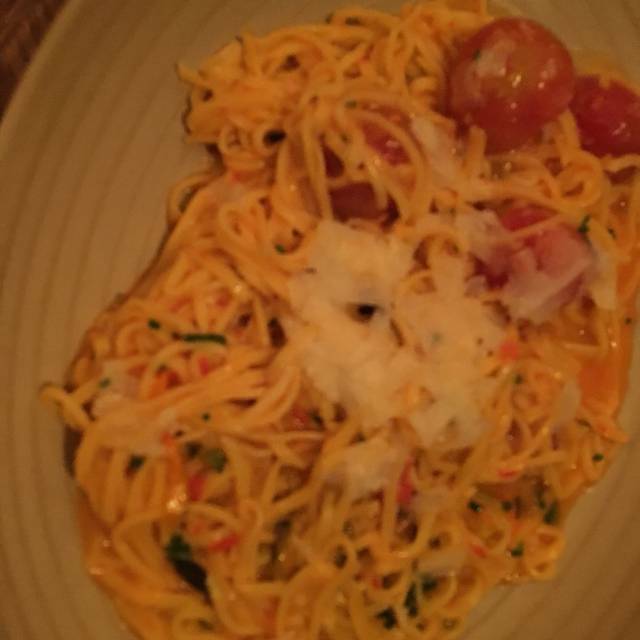 My wife had the carrot cavatelli which she loved. Wine by the glass was good. We passed on dessert. We highly recommend The Dutch. Grilled broccoli rabe was amazing. We also enjoyed the fried chicken it was very crispy without being greasy. Iberico pork was also delicious. We didn’t receive the delicious corn bread and bread until after our appetizers when we asked for it after seeing other tables with it. That was disappointing. We had a nice large booth for 5. Very noisy. The food didn’t arrive at least 30 mins after we placed the order. The service is unbelievably slow. Such a great time at The Dutch! Oyster sandwich. Amazing cocktails. Knowledgeable and delightful waitstaff. Great flow. Great table. Great lighting. Loved it! I had a lunch reservation at the Dutch for 2p on a Saturday, in between a number of wedding dress shopping appointments. We were running late and the restaurant accommodated our delay no problem. When we got there, the party at our table was finishing up and we stressed that we were on a time crunch. The service was helpful in moving things along and making sure our food came out quickly so we could make our next appointment! Delicious food; everyone enjoyed their meals including the teenagers! 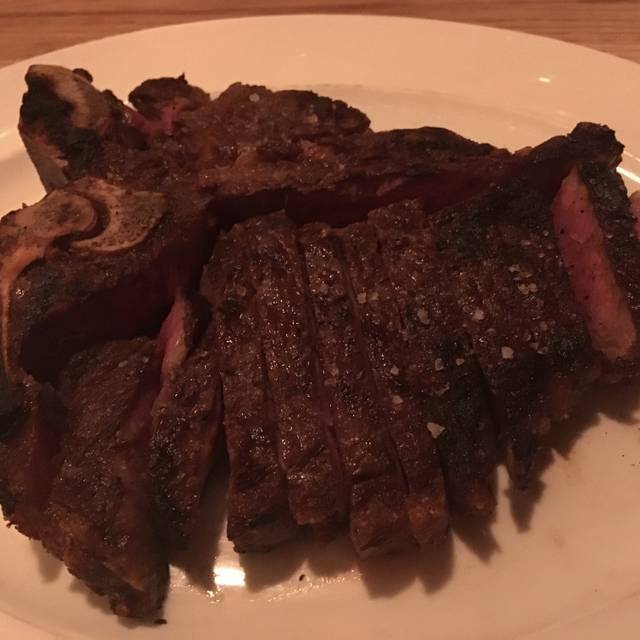 our dinner was so good: the rib eye for two was a standout. and wine by glass program is great. Stephanie at the door is THE BEST! 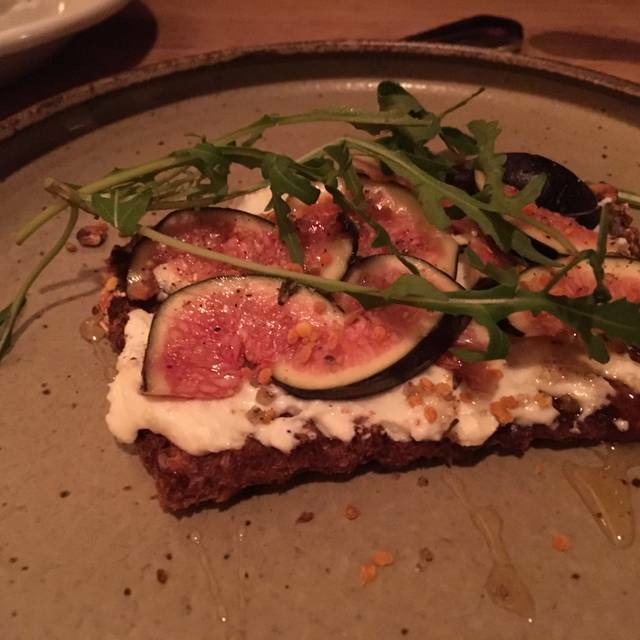 Warm, welcoming, fresh and inspired New American cuisine, it's always a treat to visit SoHo and The Dutch. Went for brunch with a few friends and it was great! 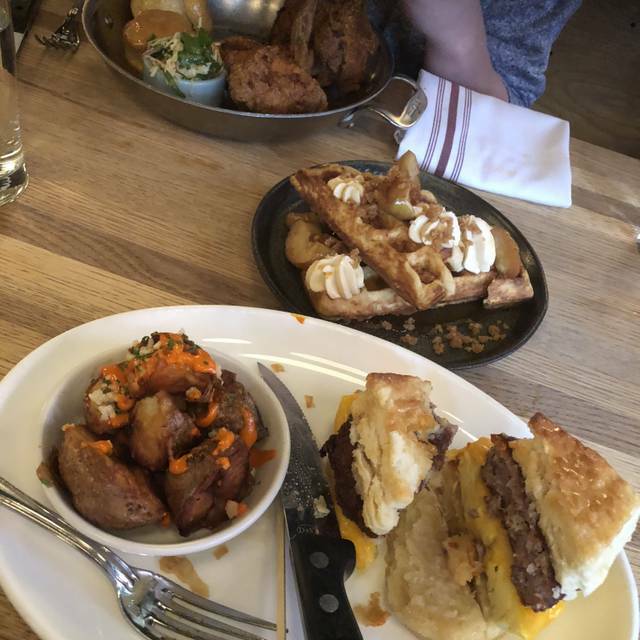 My boyfriend and I shared the fried chicken and the burger and both were absolutely delicious. The table shared a dozen oysters so start also which were so fresh and high quality. Dined from about 12:30-4 and it definitely was very busy when we first arrived but around 3ish it significantly died down. Either way, the noise level was perfectly fine for conversation! I took my daughter for an impromptu brunch after a quick visit to the Whitney museum ...nice walk to Sullivan Street. I had never been to The Dutch but was intrigued, and it did not disappoint. The ambiance was terrific as was the food and the staff. The mimosas were just right and the crowd was stylish and unpretentious. It is a happy place and we had a great time. It was fine, but don’t have high expectations and deep pockets. Our server was rushing us which is the direct opposite of brunch vibes. Very pricey for meh food. My $18 cocktail had maybe a thimble-worth of alcohol. 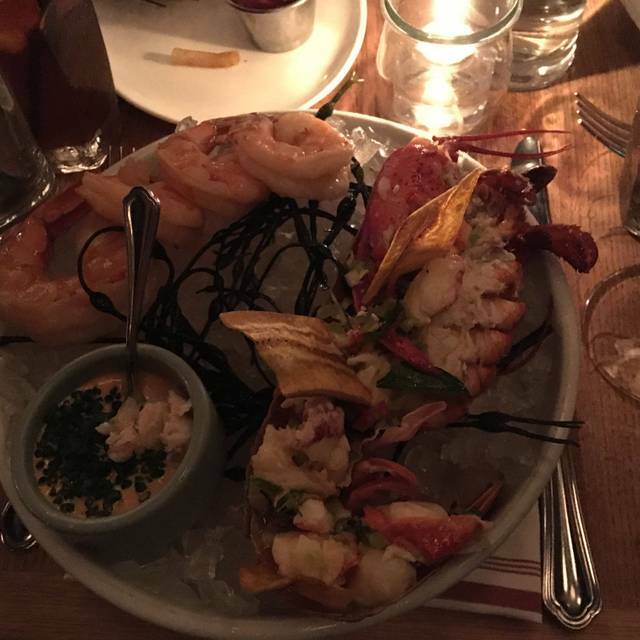 I have very few restaurants on my repeat list; being in New York there are so many places so I always try to go to a new place every time I go out for a nice dinner. However, The Dutch will definitely be added to the list. There are several dishes on the menu I want to try and although I wasn't crazy about the cocktail menu, the cocktail I did pick was excellent. Loved the carrot cavatelli and the spicy corn bread was an interesting take on bread for the table. Didn't get to dessert this time around but will definitely be looking at the next visit. The menu open table has is about half the price of what they actually charge. Needs to be updated. $50pp on lunch was a lot! The Dutch is always very good. We had two apps, Burata (fantastic), eggplant dip(fantastic). Red snappper was delish. Food was weak. Overpriced. Lousy table assignment. Noisy. Overpriced. Everything was delicious and far exceeded expectations. Great view, good service, very good atmosphere. Decent value for money. My friend and I had the best experience. The service was amazing and the food was so delicious and creative. We will definitely be coming back and I can’t wait to recommend brunch here to friends. The Dutch is definitely a new favorite after my third visit. Many thanks to everyone, especially Fernando, for such a lovely meal. Was told it was excellent, but even better than expected. Server was also really amazing. We had to wait +25 minutes for a reserved table. When we walked into the dining room, there were 3 empty tables waiting for us. Because they were catching up, the service felt rushed. Food was very good. A great brunch spot that we haven't been to in a while. But wow, this was great food and wonderful service. Can't wait to go back. The flapjacks and the spinach omelet topped our list, but the everything bagel and cream cheese wasn't far behind. And really great and strong coffee. Just booked a dinner at the last minute for our anniversary and not thinking much when I selected it for my occasion. The service and staff took the extra step to cater to us and did a little extra at the end. Superb! We had our first dinner here a year before! 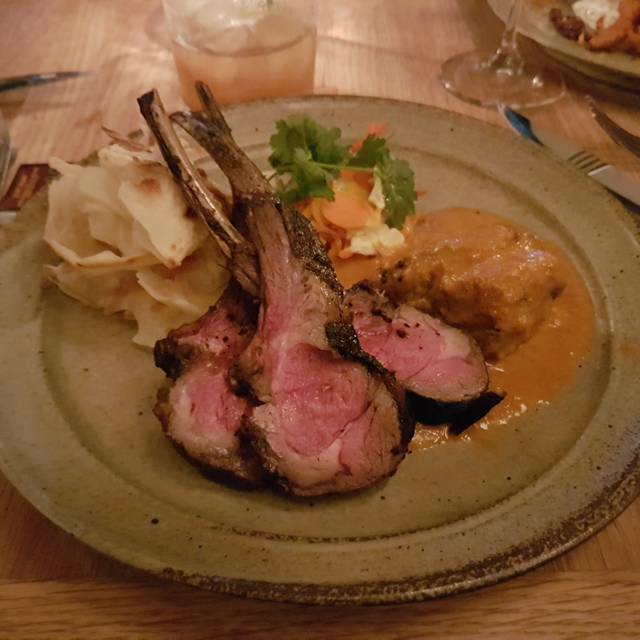 Review for Saturday brunch - food was great, served quickly for how busy the restaurant was. Service very attentive and friendly - definitely worth a return trip! Great menu fare; appetizers were good but main meal was excellent. Perfectly cooked to order and food delicious. Service was fantastic! They even provided a bit of a birthday celebration for my son who turned 18! Would recommend to anyone without hesitation. Honestly the best burger I've had in a while! Professional but not snooty staff. Eager to go back!